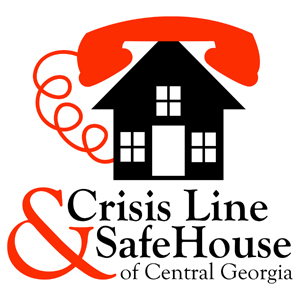 The mission of Crisis Line & Safe House of Central Georgia is to provide community crisis intervention as well as safe shelter, comprehensive support, and recovery services for victims of sexual assault and domestic violence, and to educate the community about the cycle of violence and its prevention. We exist to empower victims of violence to begin healing and speak for them until they find their voices. Crisis Line and Safe House's Sexual Assault Advocacy Team is dedicated to the needs of sexual assault survivors in Central Georgia. We provide crisis intervention, advocacy and follow up services for those affected by sexual violence and prevention education through community outreach and awareness events. Crisis Line and Safe House Sexual Advocacy Team is comprised of both trained staff and volunteer advocates who are on-call 24 hours a day to assist those affected by sexual violence. CL & SH works with the justice system, the medical community and other public & private agencies to provide need-based services to sexual assault survivors.